It's that time of year again. Back to School time! 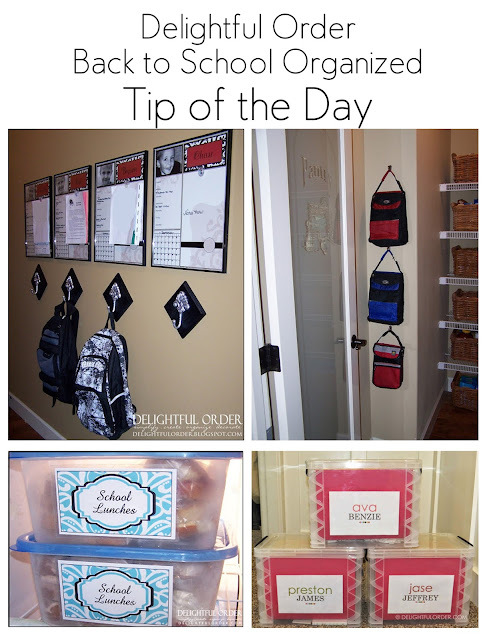 This week, on Instagram and Facebook, I'm sharing a tip of the day on getting back to school organized! If you're not following me on those sites yet, make sure that do, so you don't miss out on the organizing tips this week. The pink boxes look cute :) What are they for?